Registration for the two Focus Retreats in the Fall for Grace Brethren pastors and leaders is now online. The Central Focus Retreat is September 26 – 28 at Maumee Bay State Park, 1750 State Park Road #2, Oregon, Ohio. Click here for more information and to register. The East Focus Retreat is October 17-19 at Holiday Inn, Ocean City, Md. Click here for more information and to register. 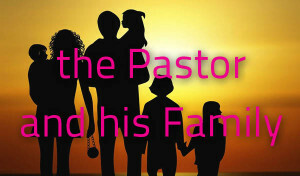 This year retreats are focused on the pastor and his family, as pastors face growing pressure both personally and at home to live and lead Biblically. The retreats will create a safe time for men to wrestle together with these issues. If you are a pastor, a pastor in training or are in pastoral kind of ministry you need to come to Focus this year.